Helen FM live broadcasting from Castries, Saint Lucia. 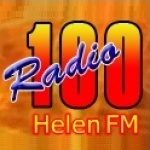 Helen FM arranges its song charts and decorates their programmings in such a way so that it may become a perfect choice for those who loves fm radio and quality music, sport, talk and spoken based radio programs. Helen FM is one of the most famous online radio station on Saint Lucia.